As an avid Starbucks fanatic and collector of their tumblers and mugs (not that I need any more), I was ecstatic to see the limited edition Charlotte Ronson + Starbucks mug on the shelves during my visit this morning (The mugs were said to be available on June 6, 2013 online & participating US locations and June 25th, 2013 in Canada). Following after past designers such as Christian Siriano (mini Starbucks card in 2009) and Rodarte (sleeves and mugs (Holidays 2012) to collaborate with Starbucks. Charlotte Ronson took inspiration from her Spring 2013 collection debuted at Fashion Week last September. 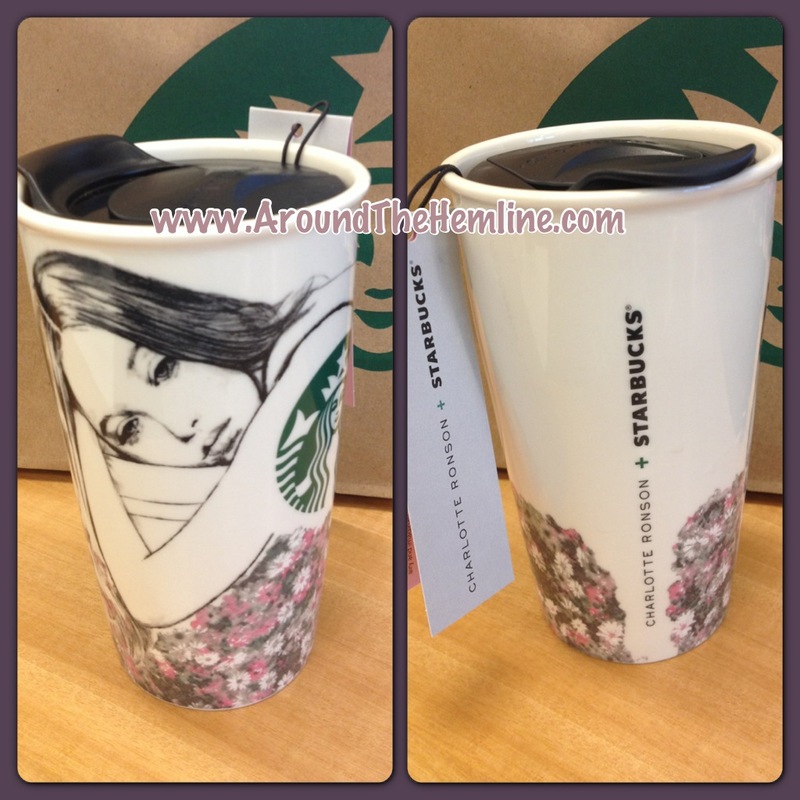 According to a Starbucks press release earlier this month, the mug depicts a sketch of a woman asleep on a bed of daisies while enjoying the sunshine and a lazy summer! Here’s a quick look back at some of my favorite looks from Charlotte Ronson’s Spring 2013 collection. Some of these dresses I found for purchase on Shopbob.com, DolceVita.com and other online stores. The looks are easy and simple but yet so classy! All the fabrics look light and airy but very flattering to the body. Even though these looks are from the Spring collection, it definitely can be rocked during the Summer! Note: All photos from Charlotte Ronson’s Spring 2013 Runway were taken from www.Style.com.